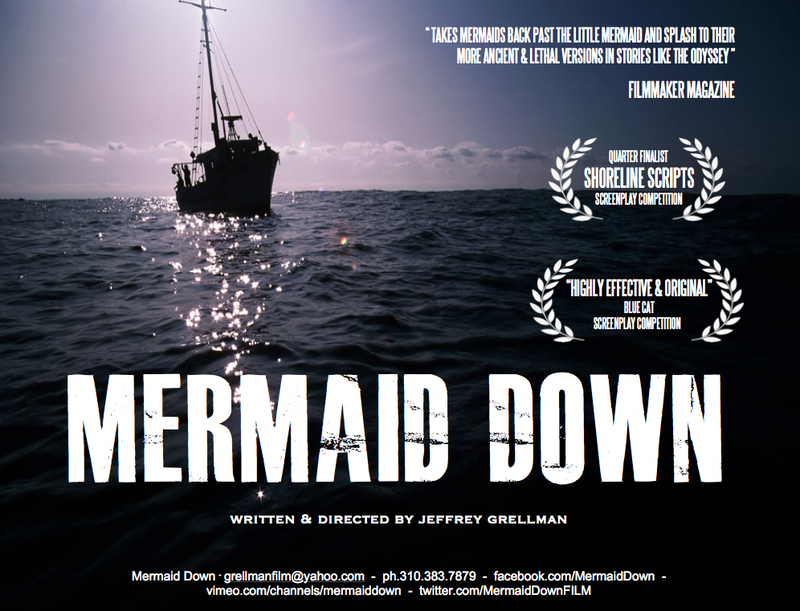 Mermaid Down has Reached it’s Funding Goal! The crowd-sourced horror movie about a mermaid that’s caught, has her tail cut off and is then thrown into an institution has reached its $100,000 budget. This horror movie has held my attention for a little while now; not only does the footage shot for the sizzle reel look excellent, but the script has received some very encouraging praise from groups like the Blue Cat Screenplay Competition. The concept of a horror film that focuses on a mermaid who is ripped from the sea, abused and imprisoned sounds so fresh and intriguing that I couldn’t help but follow the campaign’s progress, and thankfully last week it managed to reach its budget goal, which couldn’t be better news! The film aims to be original, scary and also relatable with us feeling strongly for the mermaid character, whilst she is also terrifying us. That’s a tightrope to walk, but I have the feeling that these guys are going to pull it off. The sensibilities of the piece, the impressive footage shot on a tiny budget to intrigue us and the fact that there is clearly the issue of us abusing the sea as subtext all makes me really excited for the film. Mermaids do seem to be cropping up now in films with Coppola’s Little Mermaid on the way and the B-movie Nymph/Killer Mermaid out, but this promises to very much be its own beast.